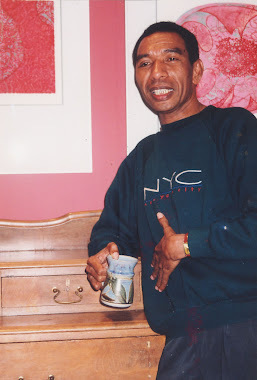 The West Papua Advocacy Team (WPAT) is pleased to announce that it is awarding the 2011 "John Rumbiak Human Rights Defenders Award" to the Honorable Eni F.H. Faleomavaega (D-AS), a member of the U.S. House of Representatives. Past recipients of the award--Carmel Budiardjo (UK, 2008); John M. Miller (U.S., 2009), and Andreas Harsono (Indonesia, 2010)—have uploaded video messages to congratulate Congressmember Faleomavaega. The award includes a plaque and a financial prize which the Congressman has directed be donated to a charity selected by him. In 2010 the award was presented to journalist and human rights advocate Andreas Harsono. The first Indonesian to win the award, Harsono is an internationally respected journalist who has earned recognition for his reporting related to human rights and justice issues, including seminal pieces on West Papua. His reporting on human rights themes in West Papua in particular has advanced the cause of human rights by helping to lift the government-imposed veil of secrecy that obscures ongoing human rights abuse there. His authoritative work related to West Papua has inspired journalists and human rights advocates and informed policy makers in Indonesia and around the world. The 2009 John Rumbiak Human Rights Defenders Award was presented to the East Timor and Indonesia Action Network and its National Coordinator John M. Miller. ETAN is a leading U.S. NGO working on behalf of human rights in East Timor and Indonesia. In recent years, reacting to the significant deterioration in the human rights environment in West Papua ETAN has been especially active in opposing the U.S. Government's open-ended assistance to the Indonesian military, the TNI, and to the militarized police, BRIMOB, which are the leading human rights abusers in West Papua and the rest of the Indonesian archipelago. ETAN also opposes any restoration of U.S. assistance to the Indonesian Special Forces (KOPASSUS). John M. Miller, has been a key leader in these efforts. The John Rumbiak Human Rights Defenders Award is given annually by the West Papua Advocacy Team. Continuing the legacy of John Rumbiak, a renowned champion of human rights who suffered a debilitating stroke in 2005, this award highlights work done in West Papua, the half of New Guinea under Indonesian rule. His courageous devotion to the cause of human rights defense, the nonviolent assertion of political rights and demands for justice, including accountability for human rights violators, has inspired not only Papuans but individuals and organizations widely in the international community. The award includes a $500 stipend and a plaque which honors the winner. The West Papua Advocacy Team publishes a monthly report.